As a major earthquake exercise for the Northwest (CASCADIA RISING) approaches we might ask ourselves why we are doing this and for whom are we doing it? March 11, 2016 is the 5th year anniversary of the Sendai Earthquake in Japan. That quake did major damage; the resulting tsunami did even more, killing 15,000 and ultimately, compromising the Fukushima power plant. Recently I read that 100,000 residents remain displaced. That would seem to be an outcome that is worth pondering if an earthquake off our coast, even minus the power plant failure, might leave us with a similar long term outcome if we fail to plan for such a challenge. That “day after” poses significant challenges, too. The tragedy of March 11, 2011 could just have easily have unfolded here: tsunami alerts that night were being sounded that suggested the possibility that a wave of some height might reach our shores on the West Coast of the United States. It did not. Despite hysterical national news reports (debunked by local media who got their info from us) that fortunately were aired in the middle of the night, there was no panicked reaction, because we had the luxury of time, and distance from the epicenter, and excellent scientific data to guide our actions. 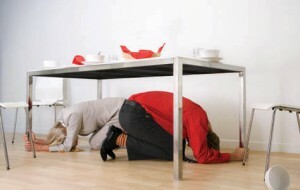 None of those conditions attach themselves to the exigencies of a Cascadia Subduction Zone event that will be played out in Cascadia Rising in June of this year. The focus of the Cascadia Rising exercise is on the immediate response to a subduction zone quake, where there will be perhaps 15-20 minutes for people to move out of harm’s way before the waves arrive. Residents on the coast have been trained to head to high ground when the earth stops moving. However, as exercise organizers will point out, not for the first time, even a timely response by the population and the authorities will only minimize the devastating consequences. Much attention will properly be focused on the collaboration among federal, state and local governments. Private sector involvement is also critical and has been included in preparations for a number of years. It is not a criticism of the upcoming exercise design to suggest that even with a successful coordination of the exercise response, and the credible assessments of the damage such a quake would cause, there remain unanswered questions about the daunting challenges of long term recovery. These questions do not provide easy answers, and yet shortly after that BIG ONE, and even while aftershocks are occurring, the recovery process must be underway. The close collaboration among private and public entities and citizens in dealing with the challenges of the immediate response will be long forgotten if the social equilibrium – kids back in schools, transportation arteries reopened, commerce flowing because workers are working and buying goods and services – has not been restored. That merits immediate attention, planning and coordination moving forward. Displaced residents, a disrupted economy, and a smorgasbord of leadership agendas could make recovery problematic, and thus taint even the extraordinary efforts our responders will demonstrate in the Cascadia Rising exercise. 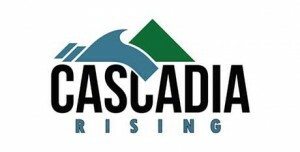 But, even as attention is focused upon the challenges and difficulties inherent in such an unprecedented disaster response, the challenge of preparing a plan for the long term recovery of the economy and the social fabric of our region should be a primary focus, because Cascadia’s plan for re-emergence will ultimately define how useful and successful Cascadia Rising will be. For Cascadia Rising to fulfill its considerable potential, an immediate review of the recovery challenges posed by the scenario should occur. Legislators, senior appointed officials, local governments, private sector leaders and the general public should be engaged and kept informed about the planning process. I have confidence that the exercise designers have created a suitable “worst case” environment from which to organize such an effort. This approach to recovery will not be easy, but if we are to believe the credibility of Cascadia Rising’s premise and we should, then there should be no delay nor is there any excuse for avoiding the responsibility to plan now for that day after.